This is a 30L silverspun model with a Lyon and Healy style peghead, heel and hardware. This is the first banjo to come out of the shop where all of the hooks, nuts, shoes and rim bolts were made here. It had a mahogany rim and a cherry neck. Nickel silver heel plate. Goat skin head. 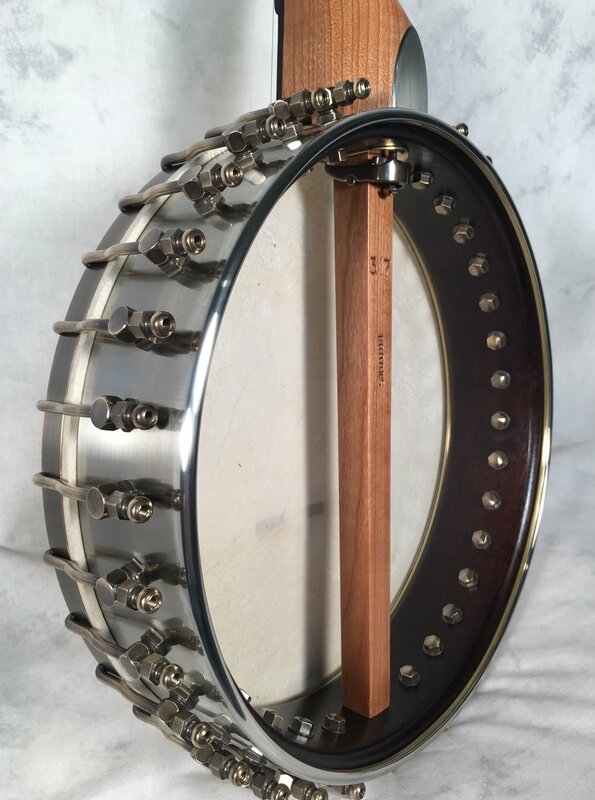 This banjo is available for sale here. I've played it a bunch over the last month and can let it go for $200 off the asking price if you enquire using the code words "Makers Marks". It is still in new condition, with a few of my finger prints on the nickel rim. Great sounding banjo that is a pleasure to play.